is cut off, the siren will alarm automatically. 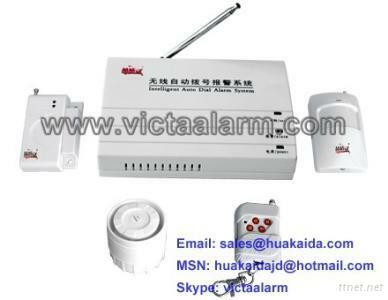 Freely set the duration of the Siren and ringing mode. Compatible with Monitor Center Station System. Power-off protection. The system will store your Settings. So you don't need to set it again after the power on. Back-up UPS provides power to the system for 24 hours.